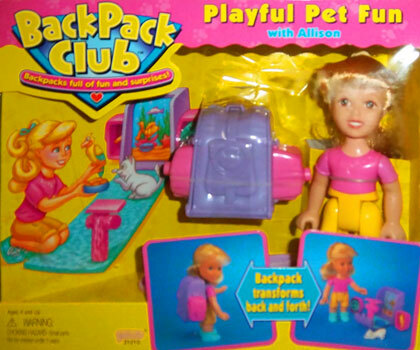 "Her ponytail grows right before your eyes!" 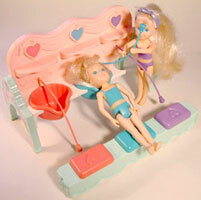 Dolly Surprise were produced by Playskool / Hasbro in 1987-1990. 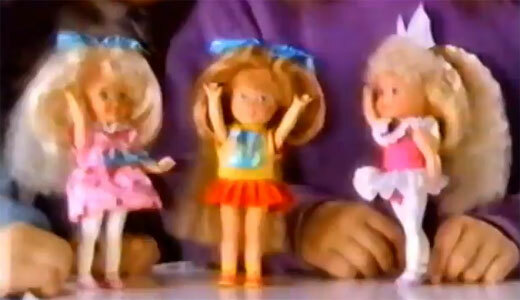 They were a line of 10 inch dolls with hair growing abilities. When her right arm was raised up her ponytail would "magically" grow by over 3 inches. 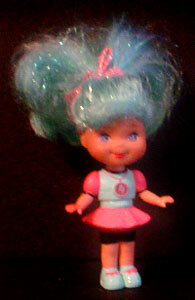 Her left arm, when raised up and down, would wind the ponytail back in to her head. 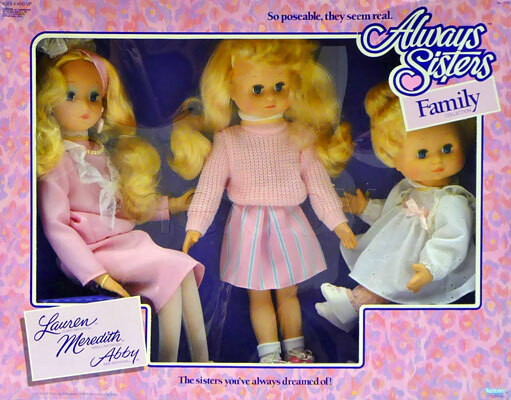 There was also a smaller line of 6.5 inch dolls, a couple of colour-change dolls, a larger baby doll and toddler doll as well as a few fashions for the original 10 inch dolls. Images on this page thanks to nhtpirate! 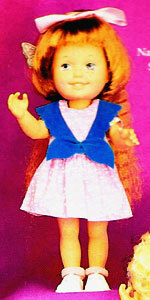 View all Dolly Surprise on eBay.com or eBay.co.uk ! 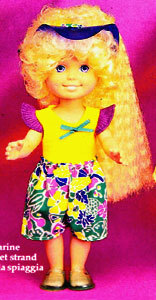 There were six sets of fashions produced for the 10 inch dolls.